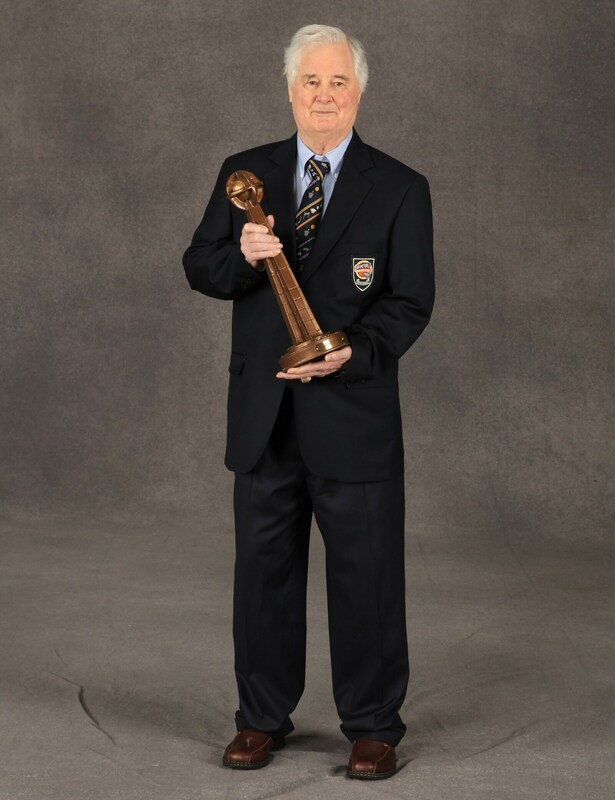 This story, used with permission by the Naismith Basketball Hall of Fame, was written in 2011 prior to Tex Winter's enshrinement. Winter passed away Wednesday at the age of 96. "Morice Fred “Tex” Winter was a coach who made us aware of appeasing the basketball god(s). There were principals to be followed to play it the right way. He also lived his life that way," said Phil Jackson after hearing of Tex's death. 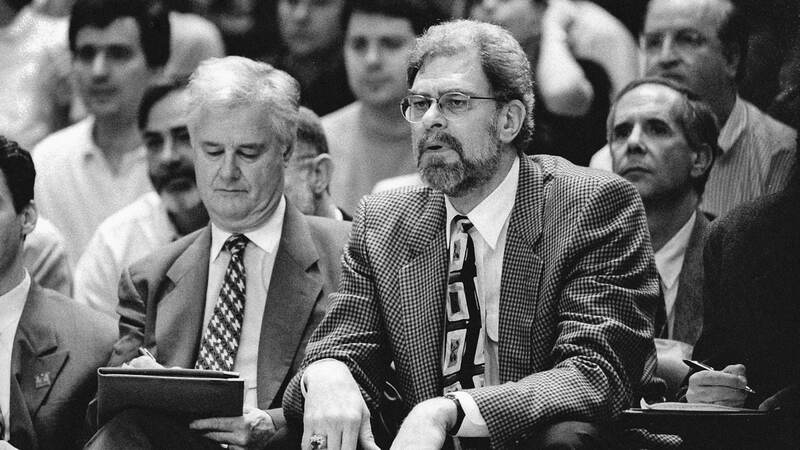 The first time Phil Jackson ran into Tex Winter was by chance in an airport. Jackson was then playing for the New York Knicks and was with his teammate Bill Bradley, the future U.S. senator. "Bradley pointed him out," recalled Jackson, "and he said, ‘That's Tex Winter. He runs one of the sweetest offensive systems in college basketball. He can take any team with relatively good talent and beat great teams with movement and passing and team play.'" Little did Jackson know then that some 20 years later Winter would be by his side as muse and teacher for an unprecedented run of 11 NBA championships with the Chicago Bulls and Los Angeles Lakers, though Jackson was just one of hundreds, perhaps thousands, who were inspired by the rumpled, little basketball genius who was everything from a world class pole vaulter to top gun fighter pilot to a basketball savant whose teams of modest talent beat Wilt and Oscar and Magic and whose influence helped shape the likes of Kobe Bryant and Michael Jordan. Though the common denominator was the game. "Basketball and teaching was his calling." Tex's accomplishments as one of the best coaches in the game at Kansas State from 1953 through 1968 were preeminent: Eight conference titles in 15 years, four times coach of the year, a No. 1 national ranking and highly regarded by his peers as he was elected president of the coach's association and a guiding force in rules changes as well as nation's winningest coach when he left Kansas State. Yet also a modest, ethical and moral man who declined to be caught up in the worst elements of recruiting, thus his many subordinately talented teams who succeeded beyond their expectations. Yet, if also practicing fairness, Tex was a man who experienced in Texas in the Dust Bowl days of the Great Depression the hardship and emptiness of need and was not one to let it overwhelm others. "Tex is a very stand up guy," said Jackson. "He has the purest intentions about basketball, but when he had kids who could not make it home for Thanksgiving he was going to feed them. He was going to feed them right or wrong." Tex once famously asked beseechingly why, "If an English teacher takes a student home for dinner, he's a humanitarian. If a basketball coach does, he's a crook." For Tex, the game always has been a labor of love, though also a way to live life the right way. You didn't pound your chest or brag about it. You just did it. He was an evangelist, of sorts, of the game. He'd go anywhere to teach it, to conduct clinics. Iceland, New Zealand, the Philippines, and if there wasn't a budget, he'd pay. Though this still was Tex the child of the Depression, who always wondered why everyone ate out on the road when there were these fabulous--in his view--free press room meals of meat and mashed potatoes. When the Lakers or Bulls would send him to scout, he'd get the senior citizen airfare rate. 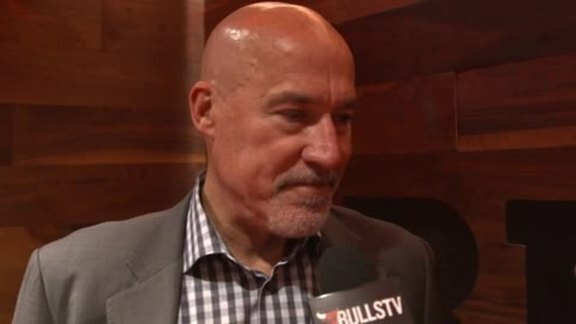 One time he was going to do some advanced scouting for the Bulls while they were in New York. He was to see the Nets in New Jersey. He insisted on going to the Port Authority terminal to take a bus even though the team would pay for taxi or limousine. A waste of money, Tex said, and took the bus. But it always was a first class ride during the games with his triangle offense, perhaps the ultimate in a pure basketball game. There were no play calls or numbering systems. Players reacted to the defense, passed the ball and moved until the best shot presented itself. Tex adapted the concept playing for Sam Barry at the University of Southern California with teammates Bill Sharman and Alex Hannum, the latter who went on to use variations of the triangle in successful NBA and Hall of Fame careers. Though Tex's concepts came from years of study from being a ball boy at Loyola U. for Jimmy Needles while Tex was at USC and studying Needles' "reverse action" offense to Barry's "center opposite" game at USC. "He seemed to always come up with an idea that would solve a problem and help us to a championship." As ball boy at Loyola, Tex would work with Phil Woolpert, who went on to coach Bill Russell at the U. of San Francisco and Pete Newell, who won the national championship at the U. of California with his motion offense and later would hire Tex to coach the San Diego/Houston Rockets. Tex left USC to become the nation's youngest head coach at Marquette, though perhaps the essence of Tex was leaving the power schools like Kansas State to take the head coaching job in the Big 10 at Northwestern, where there was almost no chance to win regularly given the school's small size and rigorous academic standards. But for Tex it always was about the game and the people who played, and while Tex was just 44-87 at Northwestern, they beat Magic Johnson's Michigan State team and the high flying Michigan team with Rickey Green and Phil Hubbard. Like Tex used to joke, "There are a lot of teams we can beat. They just aren't on our schedule." As John Wooden once said after his UCLA team with Lew Alcindor (later Kareem Abdul-Jabbar), Sidney Wicks, Curtis Rowe and Lynn Shackleford trailed at halftime twice in 10 days against Tex's then U. of Washington teams and barely squeaked by them in UCLA's toughest games of the season and later faced an injury decimated Washington: "Even if all five Washington players should break their legs, there'd be ample reason to fear Winter." Morice Frederick "Tex" Winter was born in 1922 in Texas, though not known as Tex until the family moved to southern California after his father died when Tex was 10. Tex was small, maybe 5-8 and 125 as a sophomore in high school, and though not a star, he was fast and was a leader. He could have been a track star, but was found to have an enlarged heart and prevented from running. So he took up pole vaulting and was a natural. He would eventually compete frequently against a U. of Illinois vaulter named Bob Richards, who placed third in the 1948 Olympics with a vault of 13-9. The winner was at 14-1. Tex had been injured in the trials, but already had vaulted 14-4. Richards would go on to star in the 1952 Olympics and be immortalized on the Wheaties box. Tex went to Oregon State on a basketball scholarship, though the highlight was meeting and marrying Nancy Bohnenkamp. Both joined the Navy and Tex went into aviation for fighter pilot training. After the war, Tex was selected to be a test pilot for experimental jet craft, or as he later put it "a guinea pig." Four of the eight pilots died in training. Tex eventually became a flight instructor back in Texas, where he met Barry, who then recruited Tex to USC. Tex was a sponge in studying and learning the game, every day of his working basketball life like the first day. Jackson said Tex would chart every play during games and there'd be times he'd run out of paper and be writing on the leg of trainer Chip Schaefer. Tex was always detail oriented with a lesson plan, the quintessential teacher. One time with the Bulls during the Finals against the Jazz, Tex got called for a technical foul. He was devastated to be costing his team a point. He'd been telling the official he was missing illegal back picks being set by John Stockton. The official said Tex didn't know he was talking about. "Check page 44, section 33," Tex said. Tex was the one who got Jackson to use Michael Jordan more in the post to enhance the offense but also to save wear on Jordan. Tex also was influential in getting Bryant to work more within the system after his pre-Jackson forays with wild talented excesses. "Kobe went to see Tex a lot," Jackson recalled. "Tex was the one able to get him to understand to stay within the system, slow down. They'd watch tape together for hours. They developed a great bond." But Tex wasn't one to defer to anyone when it came to the game, which transcended everyone. Tex would frequently jab Jackson when he wasn't calling timeouts, "You're being outcoached! Get going." 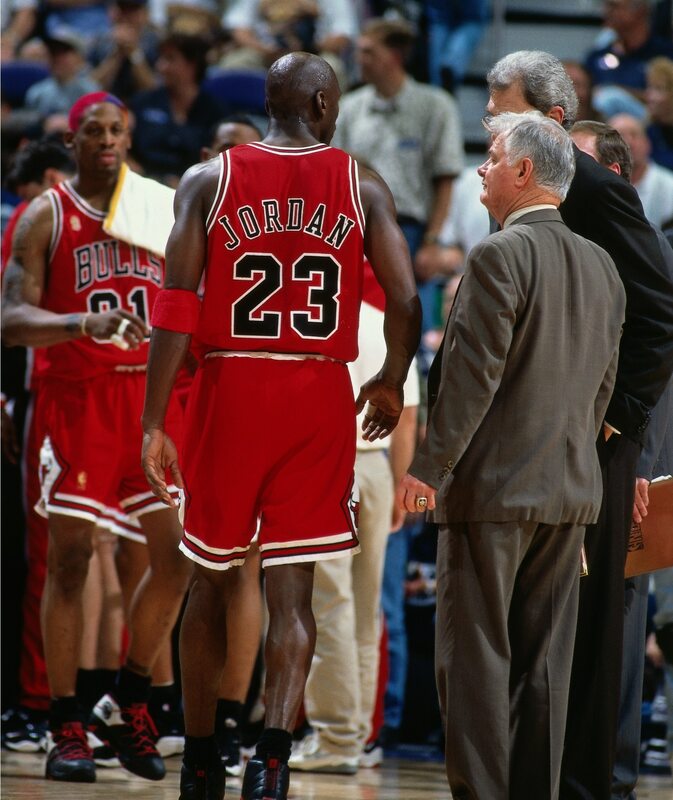 And Tex was the one when the Bulls were falling well behind in Game 6 of the 1992 Finals who told Jackson, "Get Jordan out. He's hurting us." If you wanted honestly you asked Tex. Or listened. Jackson did remove Jordan and the Bulls went on to overcome a 15-point fourth quarter deficit and win their second title. "He seemed to always come up with an idea that would solve a problem and help us to a championship," said Jackson. After graduating from USC, Tex became an assistant to Jack Gardner at Kansas State and at 28 became the nation's youngest head coach at Marquette. After two seasons at Marquette, Gardner left Kansas State and Tex returned as head coach. It was a brilliant, memorable run with not the most highly recruited players, but a much copied system of play that would defeat the giants. There was the memorable win over Kansas and Wilt at the end of the 1957-58 season that sent Wilt to the pros and Kansas State to the NCAA's as back then only the conference champion went. Then in the tournament, Kansas State beat Oscar Robertson and the No. 1 ranked Cincinnati. Tex would publish his famous Triple Post Offense book in 1962, and typical of the teacher that Tex was and it was the student who mattered most, I had once asked Tex to help me with the offense. He brought me the book to read. I looked inside and realized it was the copy he'd inscribed personally to his mother. I told Tex I couldn't borrow it, that it was too valuable. Tex said it was more important I learn what I needed. It was that influence that inspired a generation of coaches, from the likes of Bill Guthridge and Gene Keady at Kansas State to Dale Brown, a high school coach Tex befriended, to Jackson, who adopted the triangle for use with the Bulls and Lakers to become the most successful coach in NBA history. "Basketball and teaching was his calling," said Jackson. "Like a missionary."